Machine learning and artificial intelligence in general are two of today’s hottest skills. AI and ML conferences provide a place for you to improve your skills, discuss trends, and exchange ideas with other data scientists, developers, and entrepreneurs. Whether you’re new to the world of machine learning, trying to stay up-to-date, or just looking to network, there’s a conference happening for you. This article lists over 50 conferences taking place around the world for you to consider attending. NIPS conference will bring together experts and professionals from computer science to discuss and share new ideas relating to AI. This is one of the machine learning and artificial intelligence conferences that you should attend because it features discussions on neuroscience, machine learning, computational science, information processing, neural computation, and neural systems. AI World Conference & Expo will focus on the business aspect of artificial intelligence and machine learning. In attendance will be experts, researchers, professionals, investors, business executives as well as developers from the field of AI who will shed light on the advancements in AI and ML in the business world. Business executive will also learn first-hand from experts about how integrating AI into their businesses will enable them to derive more value, increase opportunities, and cut costs. Machine Intelligence Summit by Re-Work explores the advancements made in the field of machine learning and artificial intelligence. This is one of the machine language and artificial intelligence conferences that bring professionals and experts from a variety of fields such as natural language processing, image and speech recognition to give talks. In addition to looking at how advancements in artificial intelligence and machine learning benefit the society and businesses, there are discussions on the transforming effect of AI on a number of the major industries such as transport, healthcare, retail, and manufacturing. Machine Intelligence Summit also provides an opportunity for the attendees to network with professionals, experts, and technologists. Artificial Intelligence Conference is a joint collaboration between O’Reilly and Intel Nervana. The main topic of focus will be applied artificial intelligence. Artificial Intelligence Conference aims to bring together the ever-growing AI community. Because of the rapid advancements being made in AI, it has become essential to showcase these advancements and their benefits to the rest of the world. Speakers will include scientists, researchers, professionals, and developers. Attendees will also learn latest research and developments in AI, how AI applications are being used to solve real-world problems as well as how enterprises can benefit from adopting AI. Think is a conference by IBM on number different topics such as cloud, AI, data, security, the blockchain, IT infrastructure, and machine learning among others. Speakers will include experts and top professionals from a variety of fields and industries. Talks will focus on advancements in technologies and their effects as well as how these advancements are benefiting the society and changing businesses and industries. SAI Intelligent Systems Conferences 2017 provides a platform for researchers and academics to present their research and findings. 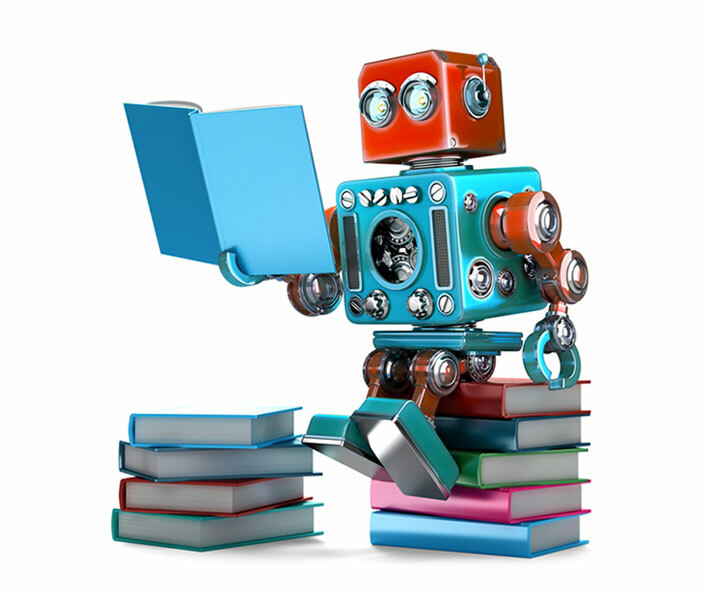 Topics of focus are artificial intelligence and intelligent systems. Speakers will also share breakthroughs that are being made in AI and its impact. Other topics also included are machine vision, robotics, machine learning, IOT, smart cities, augmented reality, data science and natural language processing among others. International Joint Conference on Artificial Intelligence (IJCAI) is another of the machine learning and artificial intelligence conferences for researchers and professionals from the field of artificial intelligence. Researchers share emerging trends in AI and new technologies that are currently under development. Professionals also share new practices that they are adopting as well as AI applications that are being developed and utilized. The AI Summit focuses on artificial intelligence but more specifically on AI applications for industry and enterprises. Speakers will include industry leaders, professionals and researchers who will discuss latest trends in AI, problems and their solutions, as well as the role AI can play in a number of industries such as oil and gas, finance and banking, IT, energy, medical, retail, transport, and tourism. Attendees will also get a chance to network with the speakers and each other. Association for the Advancement of Artificial Intelligence (AAAI) conference is a platform for researchers and scientists to showcase their research and new ideas in the field of AI. The conference aims to advance the progress and research of AI. The conference will also include tutorials, workshops, and demos. The AI conference is a two-day event that features both technical and theoretical aspect of AI. Topics for discussion are machine learning, cognitive computing, audio/video recognition, risk and threat, tools and open source libraries. Applied Artificial Intelligence Conference focuses on advancements in artificial intelligence and also examines how it is affecting societies, businesses, and people. The conference shows demos of AI applications and how its implementation has changed a number of industries such as transport and logistics, IOT, financial technologies, healthcare, and cybersecurity. It also features talks on where researchers, scientists, and thought leaders see the future of AI in industries and daily lives of people. International Conference on Machine Learning and Data Mining will focus on advancements and research in the field of machine learning and data mining. Talks will focus on latest research and development in machine learning and data mining and their application to a number of different fields such as multimedia, biomedical and web mining. The International Conference On Artificial Intelligence provides a platform for a scientific gathering of researchers, academics, students, professionals, and industrialists from the field of artificial intelligence. This is one of the machine learning and artificial intelligence conferences that feature talks on the future of artificial intelligence, latest research. Furthermore, there will be discussions on how advancements in technology are increasing the rate at which different industries are adopting AI as well as how AI is affecting a number of industries such as manufacturing, control systems, and data mining to name a few. World Summit AI will focus on enterprise, startups, investors and deep technology aspect of AI. This 2-day summit focuses on sharing knowledge, research, new ideas, and innovative solutions to existing problems in the field of AI. There will also be discussions on companies and startups that are shaping the future of AI, industries that are adopting AI, how AI will benefit the society, the ethical aspects of AI and how advancements in technology are pushing the boundaries of AI. Speakers will include notable researchers, scientists, business executives, and professionals from the field of AI. dotAI is one of the machine learning and artificial intelligence conferences for developers. While its main focus is the latest developments and trends in machine learning and artificial intelligence and their applications in the real world, talks on how they can be used to solve real-world problems also features. Speakers include experts, professionals, as well as developers from the field of machine learning and artificial intelligence. The Nordic Data Science And Machine Learning Summit is a platform that brings together the data science community in the Nordics. While the agenda of the summit is to share new ideas and the latest research on data science and machine learning, there will also be discussions on how to make use of the advancements being made in these field for the benefit of businesses and society. The summit will also feature workshops and provide a chance for attendees to network with each other. AI Frontiers Conference focuses on artificial intelligence and machine learning. This is one of the machine learning and artificial intelligence conferences that discuss deep learning, robots, and new deep learning algorithms. It also discusses how improvements in machine learning are making robots smarter, how deep learning can be used for analyzing videos, and how deep learning will impact the future of a number of industries such as self-driving cars. The purpose of AI Europe is mostly business oriented with respect to artificial intelligence. Speakers will include experts, AI visionaries, and innovators. This AI/ML conference will feature demonstrations of use cases of AI in industries as well as latest innovations. Also, attendees will hear first-hand from business executives who have integrated AI and machine learning into their businesses. AISTATS provides a platform for researchers and scientists to share their latest findings and research. 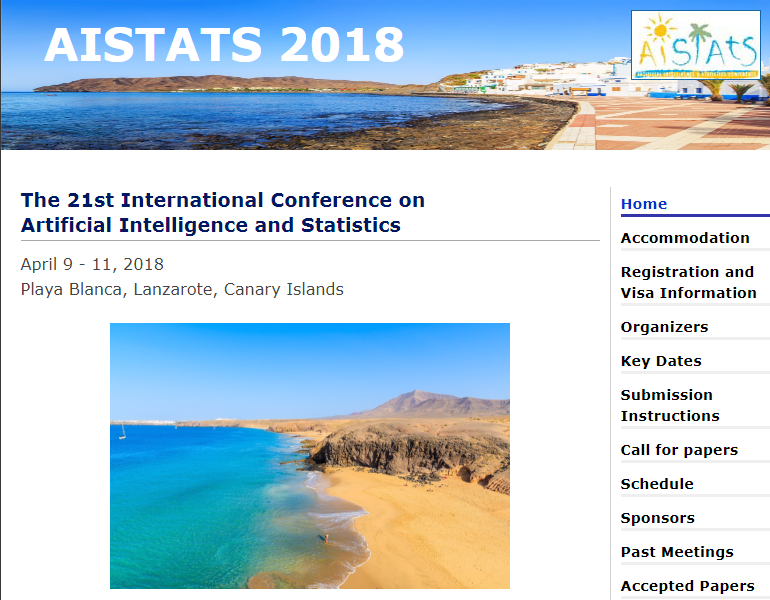 This is an interesting AI/machine learning conference taking place on the Canary Island. Its focus is on machine learning, artificial intelligence, statistics and other areas related to AI such as data science. IJCAI-ECAI will bring together international researchers in the field of AI from International Joint Conference on Artificial Intelligence and European Conference on Artificial Intelligence. The conference will focus on latest research in AI, AI applications, and advancements in the AI technology. ICMLA focuses on latest research and development in the field of machine learning. Talks will feature latest applications in machine learning, innovative algorithms being used, and machine learning systems. Speakers will include researchers and application developers from machine learning and data science. International Conference On Tools With Artificial Intelligence is one of the machine learning and artificial intelligence conferences that focus on transforming ideas and research in AI into practical tools. The conference will feature talks from researchers, developers, and thought leaders who will share latest developments in AI and enable developers to transform those ideas into intelligent systems. In attendance will be academics, industry leaders, and government agencies. 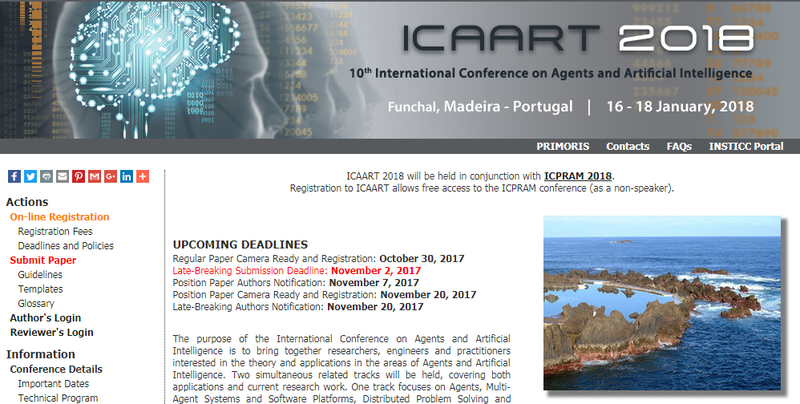 ICTAI also provides a platform for discussing the technical and theoretical aspect of developing AI tools. International Conference on Agents and Artificial Intelligence assembles researchers, practitioners, and engineers. The purpose of this conference is to share ideas on the theory and practical applications of AI and agents. Additional topics for discussion include agents, multi-agent systems, software platforms, distributed problem solving, distributed AI, perception reactive AI systems, and computational intelligence. European Conference on Artificial Intelligence is one of the machine learning and artificial intelligence conferences to attend in Europe. Speakers include researchers, experts, and academia and the focus of the conference is on the latest research in AI. The conference also features technical papers. Artificial Intelligence Symposium will bring together experts, professionals, researchers and academics from the field of AI. Talks presented will feature latest advances made in AI both in hardware and software, groundbreaking research and future of AI for enterprises. The attendees will also get a chance to network with other enthusiasts, professionals, and experts. The Artificial Intelligence World Forum will provide a platform for experts, professionals and thought leaders for discussing the advancements being made in the field of artificial intelligence and machine learning. Some of the topics are machine learning, quantum computing, robotics, healthcare and self-driving cars among others. The conference will also afford attendees an opportunity to network with like-minded professionals and experts. Chief Artificial Intelligence Officer is one of the machine learning and artificial intelligence conferences that brings together chief AI officers. Talks will focus on the problems and challenges that one can face when integrating AI into companies and industries such as developing a dedicated AI team as well as equipping team members with necessary knowledge and skills so that they can make proper use of the data available for AI. Also, the Chief AI Officers Conference does not limit itself to theories of AI but goes on to discuss strategies for transforming these theories into practical tools and applications which can then be used in businesses and industries. Big Data & AI Leaders Summit features talks from some of the biggest names in the industries such as Drive AI and Alibaba on artificial intelligence and big data. The talks focus on the latest trends in AI, effects of advancement of AI on industries, new opportunities that AI presents and latest AI applications. The summit also features talks on big data and its applications. Data Science, AI and Deep Learning conference is one of the machine learning and artificial intelligence conferences in the U.K. Its aim is to bring together professionals and experts from academia and industries. While discussions will focus on the advancement of AI, deep learning, machine learning, special focus will be given to how advancements in these fields will affect businesses and enterprises. AI Expo North America is one of the machine learning and artificial intelligence conferences that brings together startups, experts, researchers, and professionals from the field of AI. Apart from discussing the new advancements and technologies in the field of AI as well as new strategies that are being developed and implemented for AI, there will be talks on how successful adoption of AI by businesses and enterprises is driving more value. Other topics also included for discussion are deep learning, chatbots, business intelligence, and big data and analytics. A free expo pass is also available. The AI Congress is among the machine learning and artificial intelligence conferences for experts, professionals, investors, and business executives. In addition to holding talks on major advancements in artificial intelligence and machine learning including their development, and implementation, the key focus will be on how AI and ML are affecting businesses and a variety of industries such as retail, banking, accountancy, healthcare and energy to name a few. Other topics also included for discussion are big data, virtual agents, the blockchain, image recognition and deep learning. Attendees will also get a chance to network with professionals from the field of AI. Applied AI Summit provides a platform to experts and industry leaders to showcase the latest advancements made in the field of AI. The summit will focus on AI demos from industries that have implemented AI strategies. The conference will discuss, among other things, how to expedite the process of integrating AI into businesses, what practices need to be followed and how to build proper tools and skill set for AI. Attendees will include industrialists and business executives. TRAIN will gather machine learning and artificial intelligence experts, thought leaders, developers, and engineers. The main focus of TRAIN is on machine learning and how it can be used to solve real problems in the business world. The conference will also feature talks and demos on artificial intelligence and its applications. Toronto Machine Learning Summit (TMLS) focuses on the business as well as technical aspects of artificial intelligence and machine learning. This is one of the machine learning and artificial intelligence conferences that feature practical applications of AI and ML. Attendees include researchers, entrepreneurs, enthusiasts and business executives who deliver talks on the latest technology trends in ML and AI as well as the impact ML and AI can have on enterprises. Machine Learning Innovation Summit is one of the machine learning and artificial intelligence conferences for researchers, professionals, business executives and experts from the field of artificial intelligence and machine learning. Talks will not only emphasize how AI and ML are changing the business landscape for the better but will also demonstrate how companies are benefiting from adopting AI and ML. Also to be discussed is how ML is being used by industries for solving problems and improving performance and efficiency. The activities at the AI Conference centers around the latest technologies being developed in AI. It also provides a platform for researchers and professionals to share their research and work together. Although the talks are on the latest trends in AI, how AI is affecting businesses and enterprises as well as other AI-based applications and projects, some other key topics including ethics, law, safety and governance aspects of AI are also addressed. International Conference On Artificial Intelligence will bring together the international AI community. The purpose of this conference is sharing and discussing latest technology trends in AI, practical applications of AI, how AI is being used by different industries to increase their productivity and how business problems are being solved using AI. Attendees will include researchers and experts from several fields and not just limited to AI. Global Artificial Intelligence Conference has as its focus the latest technology and techniques used in AI. This AI/machine learning conference also includes workshops for developing the technical skill set required for AI. Discussions borders on existing challenges and problems of AI as well as their solutions. In addition to the demos of use cases of AI that are presented by industry leaders, there are discussions on topics such as ML, Neural Networks, data mining, data analytics, chatbot, and IoT among others. The Machine Learning Conference brings together speakers from universities, industries, and research. The aim of the conference is to discuss the latest research being done in machine learning, latest trends in machine learning and new methodologies being adopted in machine learning. How these are being applied to various industries will be discussed too. DataSciCon Tech will bring together researchers, experts, and enthusiasts from the field of AI. While the conference will focus on latest machine learning algorithms, there will be special emphasis on practical applications. In addition, it will feature demos on the practical application of machine learning algorithms in order to show their use cases. Other topics including data science and data analytics will be discussed too. Minds Mastering Machines is one of the machine learning and artificial intelligence conferences that bring together experts, researchers, and professionals from the field of artificial intelligence, machine learning, and data science. While focusing on how organizations can integrate AI and ML and the advances that are being made in the field of AI and ML, there are also discussions on how businesses can take advantage of artificial intelligence, machine learning, and data science. The conference will also include talks on how AI and ML will impact society and businesses. AI Evolution brings together experts, developers, technologists, and business leaders. The purpose of the AI Evolution is to transform artificial intelligence theories into practical AI systems and applications which can then be utilized by business executives to get more value from their enterprise. Machina Summit AI is a conference that features talks from analysts, end users, and early adopters of AI. The key focus of this summit is to determine how advancements in the field of artificial intelligence, data analytics, and IoT are changing major industries. Hence, participants will include IT directors, business executives and data analysts who want to make use of AI and IoT in their businesses. The AI Finance Summit explores the effects of artificial intelligence on the financial industry. In attendance will be executives from the banking, insurance, and asset management sectors. Emphasis will be laid on AI applications that are being used or are being developed for the financial sector. The summit will also afford participants an opportunity to network with the experts and professionals from the field of AI. The Data Science Conference is one of the machine learning and artificial intelligence conferences in the United State. Although it is dedicated to business analytics professionals, it can also be attended by data scientists, predictive analysts, and machine learners. This conference is suitable for people working in the fields of big data, data mining, machine learning, artificial intelligence and predictive modeling. Topics that are covered include promotion of education for data science and pros/cons of open-source vs proprietary services. Open Data Science Conference brings together experts and professional data scientists so they can share the latest ideas and developments in the field of AI and data science. The main focus of the conference would be on open source tool, languages, and models that are being used in AI and in data science. In addition, there will be discussions on other topics including natural processing, data visualization, big data tools and social networks to name a few. Machine Learning Prague will feature talks on machine learning by dignitaries, executives, and developers from some of the biggest tech companies such as Facebook, Yahoo, and Google. One of the most noteworthy features of this conference is that it is not limited to just theoretical talk but also showcases real-life applications and demos of machine learning. The attendees also get a chance to network with professionals and with each other. AI-Asia is one of the machine learning and artificial intelligence conferences in Asia. It gathers academics, researchers, and business executives together to share and discuss the revolution happening in AI. While the conference focuses on the impact of AI on businesses and enterprises, discussions also include current challenges that need to be overcome for further advancement of AI and how proper strategies need to be implemented in order to harness the full power of AI. The conference also showcases the latest AI solutions and applications. GPU Technology Conference is one of the machine learning and artificial intelligence conferences in Germany. It features training and demonstrations of the latest trends and technologies from the IT sector. In attendance are developers, data scientists, and researchers. Also, topics that are covered include deep learning, artificial intelligence, big data analytics, virtual reality, self-driving cars among others. The main focus of AI & Machine Learning Summit is to show business executives and industry leaders the value of artificial intelligence and machine learning. Nucl.ai gathers enthusiasts, developers, experts and practitioners to share and discuss research and latest development in the field of artificial intelligence. Though the primary concern of nucl.ai is the effects and benefits of artificial intelligence on the creative industry, the conference will also feature talks on how to make use of the latest technologies and practices that are already in use in other industries for the creative industry. In addition, there will be demonstrations and tutorials on AI applications. AI Toronto will feature talks by industry leaders, developers, and experts on the future of artificial intelligence as well as its benefits for industries and businesses. Because of the fast-paced advancements being made in the field of AI, it has become necessary for businesses to understand AI and its benefits. AI Toronto is one of the machine learning and artificial intelligence conferences for business executives around the world. It will feature talks from business executives who have integrated AI into their businesses and as a result, derived more value and paved way for new opportunities.